Imagine...No longer having to rely on someone else for your daily tips. Just wanted to say thanks for this amazing piece of software, I made a remarkable £61 profit yesterday from £2.50 stakes there is nothing else like it and believe me i have tried quite a few. Please feel free to use this email as a testimonial. Tipsters have always tried to convince you to follow their tipping advice in order to profit from the horses. When you finally take the plunge very quickly you realise the unfair world of horse racing is full of tipsters who cannot deliver on their promise. You put your faith in the tipster only to find out they can not deliver. A way you could finally be free of relying on someone else to give you daily selections. A way you could finally be free of wasting money on broken promises. Hi, my name is Malcolm Pett and I am probably what is known as a “Professional System Builder” and software developer. My friends and family however, only know me as a dog trainer and a geek who loves making things. But that's enough about me... This is all about YOU... and how it is time to STOP doing things wrong. In to the Super Punter you have always dreamed of. The best part is you don’t need anyone else. You need - Quality Result Proven Software but you don’t need to pay Any Tipster EVER AGAIN for rubbish. You are closer than ever to Outstanding, Racing Selections Daily. These selections will allow you to live the racing lifestyle on your own terms. You take all the Credit, all the HIGHS Without all the Tipster LOWS. Don’t worry it won’t take you hours per day to achieve this, quite the opposite in fact. Remember... Why Would You Pay Someone Else For Race Selections When You Can Get Even Better Choices Yourself? Its all about knowing where to start..
Having the right tools at your fingertips will turn you from a Clueless Punter to Pro Selector. No tipster out there is using what you will be able to get your hands on here. Guess how I know this? Tipsters are notoriously lazy, all they want is your money. Money which they quickly snap up from your pocket and leave you to wonder how on earth they are picking so many bad horses. I care and it pains me to see so many punters taken for a ride, when punters come to me I hear some horror stories from them. They tell me about all their experiences and how they wish they had found me earlier. If you can follow some simple steps which I have covered in full for you then you can finally kick the tipsters to the curb for good. You Will Be In The Right Money Margin From The Start As You Are Now Not Having To Pay Your Tipster. You Will Be PROUD To Tell People You Make YOUR Own Selections In A Flash. You Will Have To Keep This QUIET As You Might Just Find That Your Friends And Family Will Be Calling You All The Time For Their Tips. Remember once you have the skills & tools yourself you will finally be able to Lock Your Very Own Racing Destiny In Place for years to come. I can say this because I'm 100% confident on this. You will never have to pay a tipster a penny...ever again. The Software comes complete with nearly 100 "Shared Systems" created by other users. Now you would be foolish to be put off because this is software, even if you are retired or not very good with computers. The Software is EASY to use and I show you exactly what to do in my video series. You can literally MASTER The SPORT and find out how the every day "Tipsters" find their tips. PR Ratings users take full advantage of the information to find profitable selections. But guess what, they started off right where you are right now. This is the ideal time for you to see how they started and to follow along, the sooner you do the sooner you will be at their level and you will never look back. Don’t worry though you will instantly see how easy this is to do. You won’t have to wait and worry about a thing, I'll walk you through how easy this is to do. Delve into history and use some pretty amazing ideas, to find places where you can make money from the horses today. Look at it this way if using this software was your job I can guarantee you would never miss a single days work. You wouldn't want to take a holiday away from it. This software has a built in research tool, in fact it has many built in tools which allow me to find systems which I can exploit. No tipster out there can do this. As an Extra BONUS for you today I've added in my Quick Builder Tool, this is worth the fee alone. Ask Yourself One Question Right This Second..! Are You Ready To OPEN Your Mind To A Better Way Of Winning Races? I can only help those with an open mind and one willing to help themselves. No one is going to hand you the Golden Ticket on a plate without any return from you. I believe this is the closest you will ever come to the Golden Ticket. I have made it as straight forward as possible for you to join the Golden Ticket Machine. But to put off the tyre kickers I need to tell you straight. You will have to put in a little effort. Not a lot, but just a little. The more you wish to put in the better, but that's not the point. The point is with a tiny bit of effort from you, expect to have great gains. Obviously everyones results will differ as people we all see different opportunities or prefer to take on one horse over another. 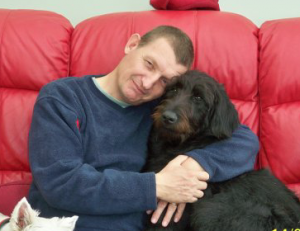 This is what makes this software fit all punters, It delivers exactly what you want. Not what Joe Bloggs wants down the road, these are your own Personal Horses. Why share your findings with anyone else..! Keep them for you only. I have created a software tool that you can use right now to pick your own winners better than any tipster in the market can. We can sit back and allow the tipsters to continue to fail. As now you and me both know we are now on the correct racing path. It will be the biggest part of your betting ammunition from Day One. This is an extremely rare racing concept, because it actually works. You Want To See The PR Ratings I Personally Use…. I’ve Included These For You. Note: The kitchen sink is not included, but if you want that as well I will see what I can do to help you. An amazing software tool allowing you to rapidly analyse “Todays Race-Cards" in the way you want to. Full Results Showing You Betfair SP Prices & Place Prices & SP Prices. It’s never been this easy to glance at the daily race cards and select runners. I even provide you a number of video’s to show you different ways of using the ratings part of the software to find winners. 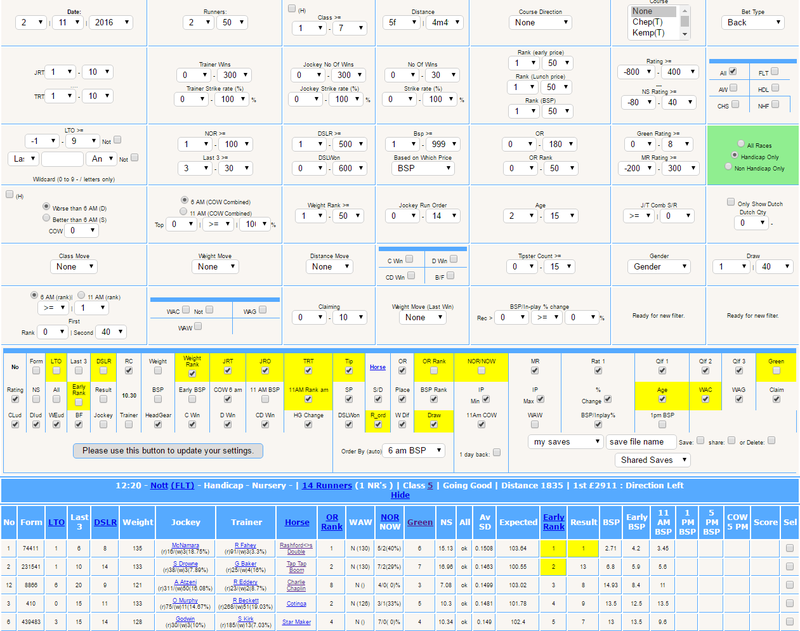 At The Moment There Are over 60 (Nearly 70) Different Pieces Of Information about each horse in every race. Regular Form Information (Which you see on most form cards including last results. These are laid out clearly in front of you). Green Ratings(This figure is based on a number of form and ratings figures falling between certain values. Find out which Green rating number gives you the best chance of winning). Class movement from last race. Weight movement from last race. Distance movement from last race. That is it's "Shared Saves" system. Every PR Ratings user has the choice to share their systems with other users. Many do, which means there are now nearly 100 of them available to you immediately you run the PR Software. Some of these systems have been openly available since 2016. These include "Lay", "Back" "Place" and even "Lay Place" systems. Some have returned 100's of points profit since they were added. This OFFER is not LIMITED (really anyone who follows me knows most of my offers are usually limited, this time I’ve added in a discount for the first 50 members. I want to show you and instil in you that you can now forget the tipster past and present. I’m extending my hand to you to allow you to finally help yourself to my amazing software. Well It's Time To Go Fishing Guys. Just how quickly you can find “Dutching opportunities” I’ve laid out the full method in a video for you to view when you join. I’m going to turbo charge your experience as soon as you become one of my happy members. 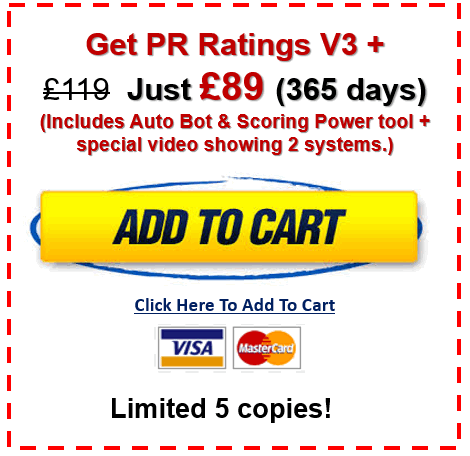 You will wonder how you ever lived without this PR Ratings Software as your Racing Multi Tool. I don’t wish to waste anyones time nor mine. I want to work with you, real punters, not the people who are so disjointed in their betting practises that they cannot see a good thing when it drops in their lap. So please if you are a "Sit on the couch and want everything handed to you on plate" kind of person then don't buy PR Ratings Software. Thriving positive punters are welcome at my door anytime. There are no promises that it will make you rich over night, nor should there ever be. It's a perfect racing software tool which requires you to use it. Using it will mean you get the best from it. If you never use it then you have no chance of making the change you so much desire. And if you use it as intended... Boy will your betting change for the better !!! Positive people who are genuine, these are the people we all love to hear from. I looked at was the PR ratings (old version) and my comment at that stage was that the ratings alone are worth the price! I still haven't changed my mind. In fact the new ratings just seem to get better and more accurate. There are so many ways that you can use them I am going to have to retire from work at this rate to utilise their full capability!! Malcolm ....very, very happy with the "Wild-card" Gizmo ..what a short-cut this has created to form study...winners are just jumping off the screen....what more can I say but brilliant ! Today you have the opportunity to simply do exactly that. Miss out today and unfortunately you only have yourself to blame. I'm not trying to do the hard sell here because if you have followed along over the last couple of days and you have read this page then you already know that Change Is What You NEED. More importantly change is what your Racing Needs. To leave it any longer and think you will be ok to keep struggling along following poor tipsters is a mistake. This time next week you will be in the same position, while the other chaps reading this are having a great time with my software and they are the savvy punters not looking back. I’ve made sure that I’ve covered all the angles for you, this software has taken months and months to produce. I work on this software daily to make sure you are always fully up to date with the very best information at your finger tips. Meaning that when you want that particular horse/horses for the day you will find them within. The only thing you have left to lose is a Place Within My PR Ratings Software. Right now all you need to do to gain INSTANT ACCESS is Click The ADD To Cart Button Below. I won’t push you into any option, please decide for yourself. It's plain to see which is the BEST AVAILABLE OFFER. Remember I'm looking for your commitment, we will be together helping each other for a long time so make the right choice. My promise to you is that I will continue to build new features in my software, to listen to any new features you might like to see, I will deliver time and again for you. All you need to do now is leave the tipsters behind and start over in your racing once and for all. I can guarantee you will be thanking me for this opportunity and wishing you had joined a lot sooner. You Are One Step Away From Being A Fully Self Sufficient Pro Punter, PR Ratings Software Will Get You There Faster Than You Would Believe. The complete PR Ratings brings together 3 great tools in one package at a very special price. Pr Ratings V3 (£239.88 a year). The latest PR Ratings (Currently V3.18) with all the filters and information you have come to expect from a such a great tool. Plus don't forget there are over 100 shared systems from other users! This is the first time the PR Ratings bot has been speciffically added to PR Ratings and this Autobot allows you to take full advantage of the PR Ratings bot link. Built on the same technology as PR Ratings the Scoring Power Tool allows you to create your own ratings based on the daily race cards or on any system you have saved within PR Ratings. Combined that's a total of over £394 if you could buy them together. But you must act now while there is still chance. This is a "Non-Refund" offer if you have any questions or are unsure what the offer is about please email me before purchasing. Please see T & C here. We do not normally support Paypal but If you would prefer to use PayPal then please send £89 to sales@bluebelldata.co.uk mentioning that you are purchasing the "PR Ratings weekend" please allow us a little time to set up your members account when using PayPal. Thanks for getting this far. I hope to see you in the members area very soon. I’ve created a number of videos on how I personally create systems. I really shouldn’t be giving away all my trade secrets, but today you can have access to them. These bonus feature videos will only be seen by the first 50 members. Wow still not convinced..? I am kind of hurt! Go right back to the start of this page and start over as you may have missed the point. I have spent hours and hours building this tool to make life easy for you I want you to have it, I know you need it. Why would you be here if you didn’t deep down or whole heartedly agree with everything I'm saying above? And you still haven't decided to get your copy, come on I will walk you through how to save your racing and take it into the future with hope and confidence in your own excellent selections, all from my PR Ratings Software. Ok final testimonial; You know what you need to do today, with only 50 Copies Before The Price Will Double very soon. I've been using Malcolm's Products for some years now, but this latest PR Ratings Software is brilliant imho! Firstly, PR Ratings is my baby…I didn’t originally create it for anyone but me. Unlike many product developers out there I use it myself, daily to find systems and trends and to teach myself to get better at reading race cards. So you can be sure I want it to be as good as it can be. That means continual updates (almost 1 a week). Secondly, many products just deal with the basics. Yeah there is plenty of data in one place but it is information you could get anywhere. And that list is growing all the time. Horse number of wins and strike rate. 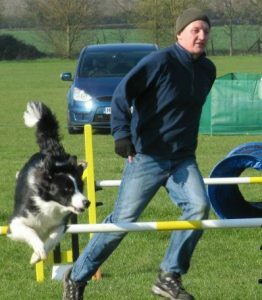 Our results sheets are classed as the best in the business. Full statistical breakdown including Highest bank draw down, average winning odds and ROI. You also get a graph to represent the month over time results. PR Ratings also has our unique trending results sheets based on BSP, 6am and 11am prices. These unique results sheets give you a graphical representation of the strike rate and price over time. This is invaluable information for the serious punter. As if that wasn’t enough there is also a csv results export button so you can analyse them in your own way. A recent edition to PR Ratings is the “Quick Analyse” filter. This allows you to quickly see whether a particular filter is profitable or not by showing you the p/l. An example would be to pick favourites at Southwell and then “Quick Analyse” the “draw”. You would immediately see the results from each draw number. This feature takes system building to a whole new level when it comes to speed. Saving your systems and settings. Sharing your systems and settings with others if you choose to. A link to get your daily selections from any browser at any time. A bot link that works with GHBot to automatically download and monitor your daily selections. But I think there is one thing that makes PR Ratings stand out. I don’t mean because it is on-line tool you can use it anywhere I mean “me”. PR Ratings has a 700+ strong Facebook group where I am almost always available for help. If I am not there, there are plenty of others who can answer your questions. The group keeps me accountable and makes sure that PR Ratings is the best it can be. …It’s even changed from last week! That’s because I want new features and the users want updates. Together we drive PR Ratings to keep getting better and more useful. Well I hope that answered your question and shows you that PR Ratings V3 is the one to use.